Improving your fitness is a marathon, not a sprint. Nothing happens over night and there is no magic formula. If you struggle with stability, mobility or injuries, while others may be plateaued at an optimal level of fitness. At Wired Fitness San Diego, our personal trainers, can adapt to your individual needs no matter where your fitness level is at. Our experienced coaches will create the perfect personal training workout that promotes success in and out of the session. The sessions can take place anywhere, all of our equipment is mobile. 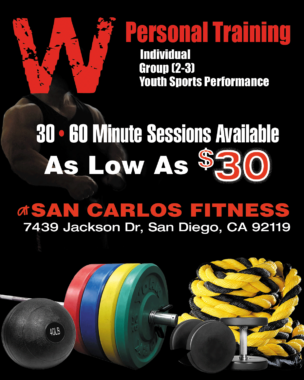 If you’d like to train in a gym there are a few choices around the San Diego area. Workouts will consist of cardio, strength, plyometrics, core, flexibility or stability. All workouts will be created for you and in-line with your fitness and program goals. If you’d like a more affordable option, check out our group training classes held in our outdoor venues. 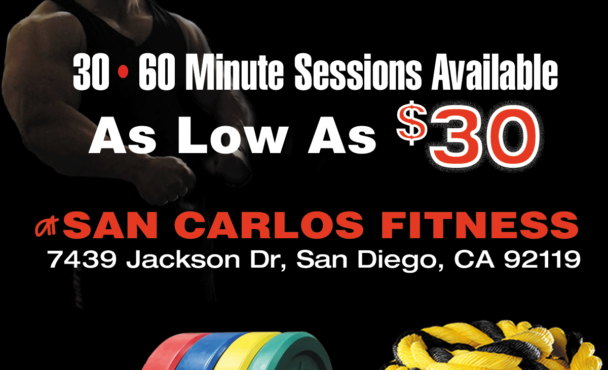 These classes are still approached as a personal training session, just in a larger group. No matter what program you choose a Wired Fitness personal trainer will make sure you reach your goals in the most effective way that will last a lifetime.